This sock is worked from the toe up. 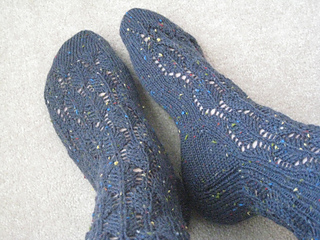 It has a rounded toe, a slip-stitch variation of Squeaky’s Widdershins heel, and a minimal cuff. 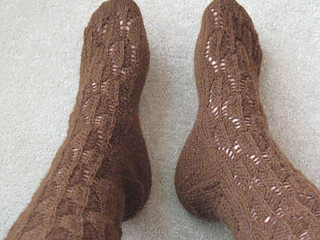 The main stitch pattern comes from Stanfield and Griffiths’ Encyclopedia of Knitting. 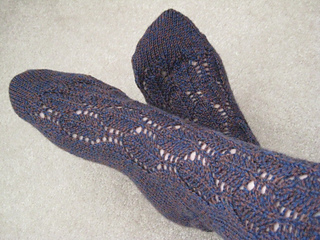 The pattern is sized for multiple sizes and has a tapered leg.